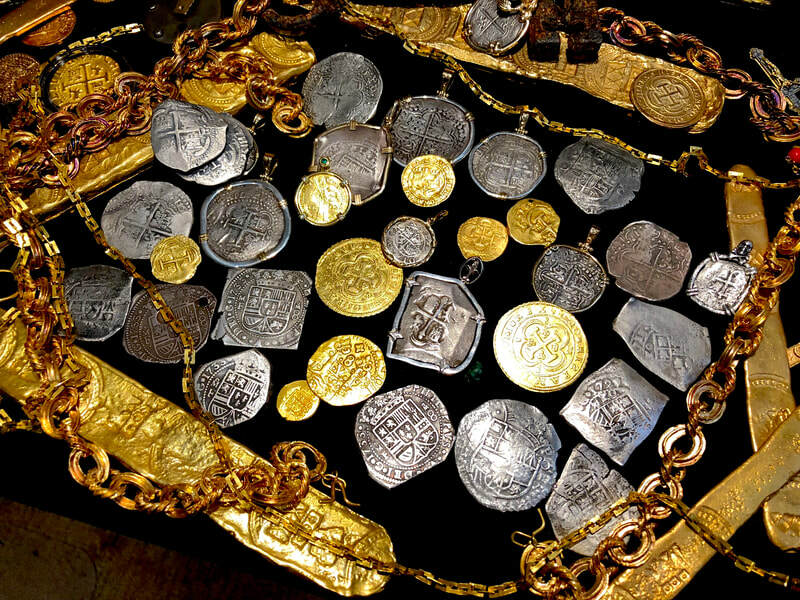 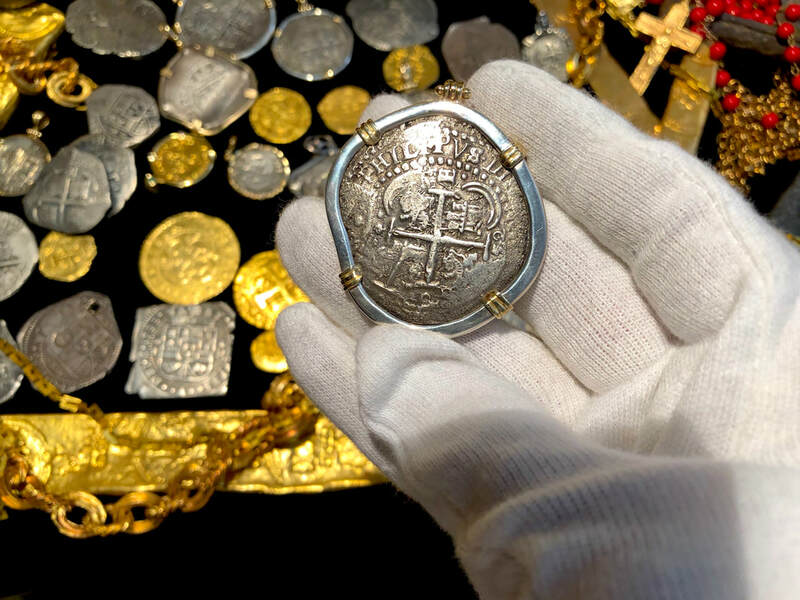 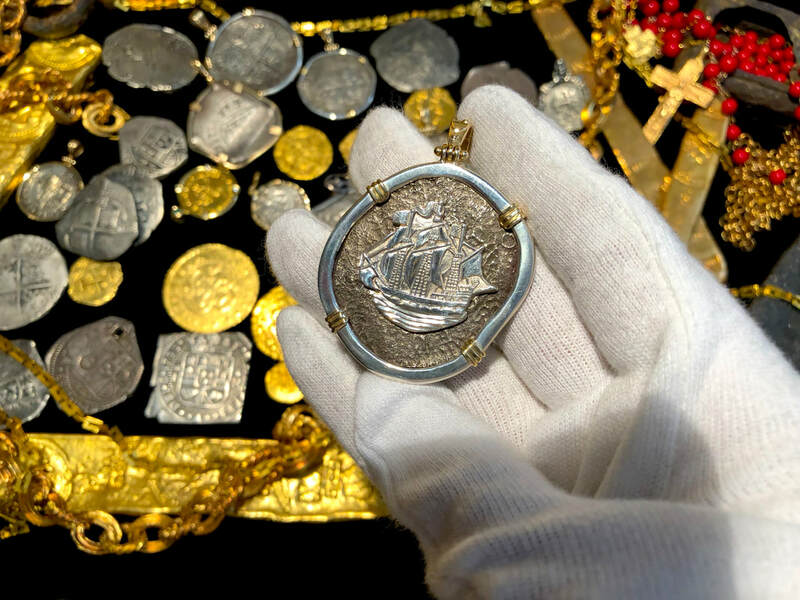 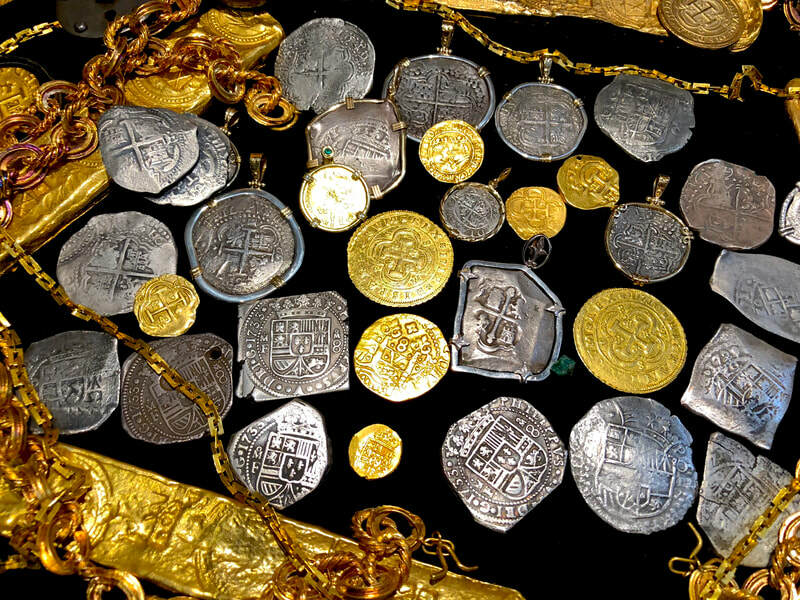 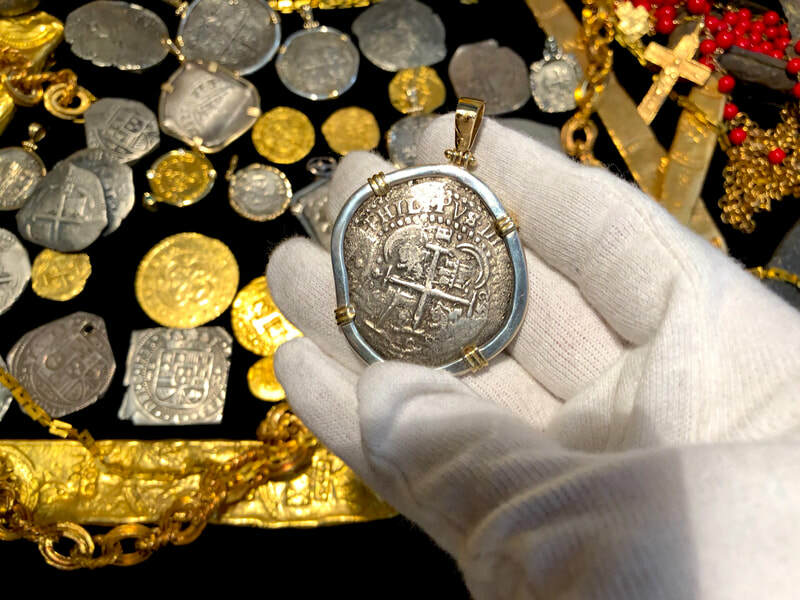 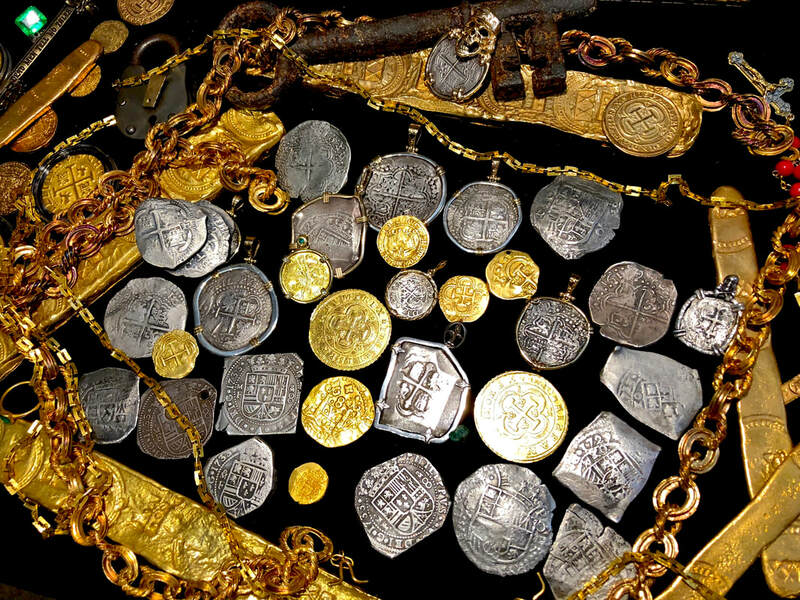 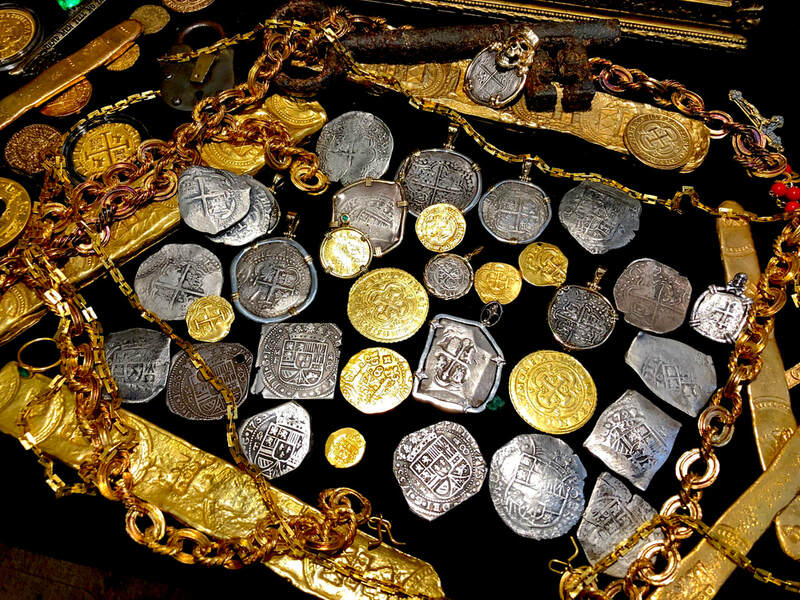 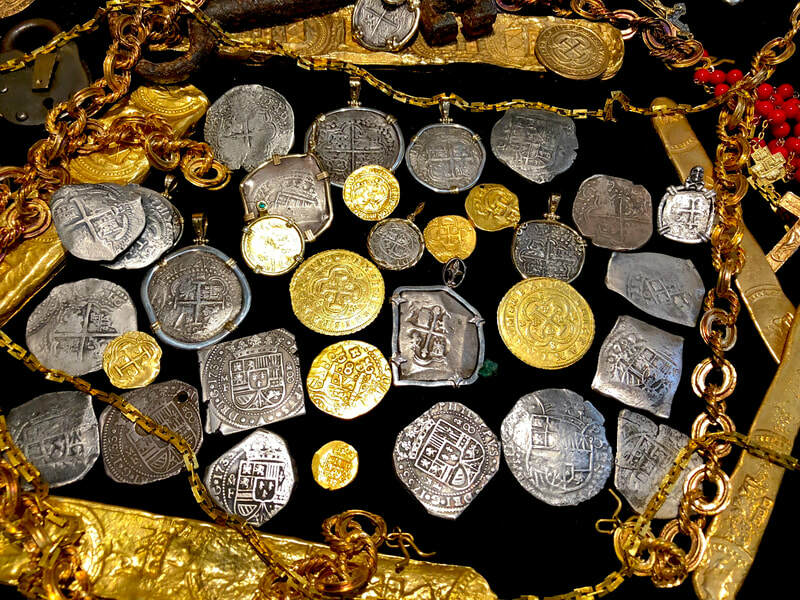 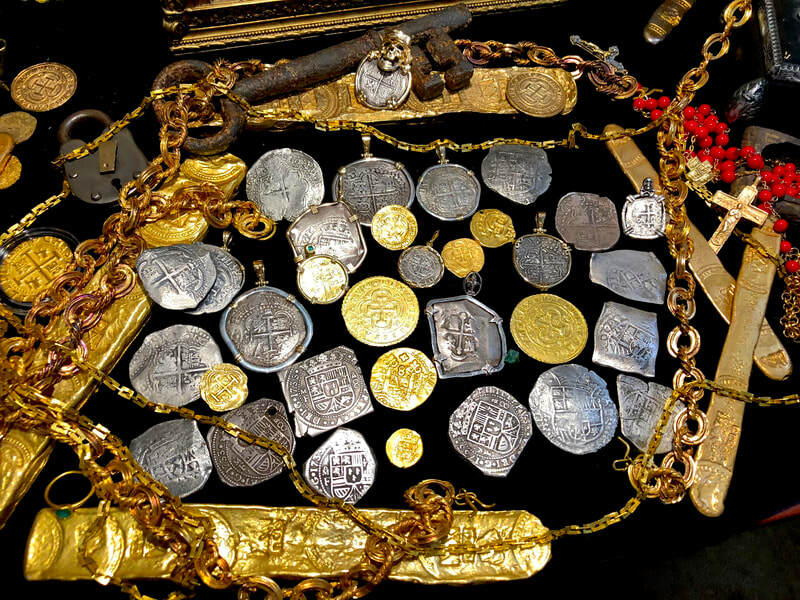 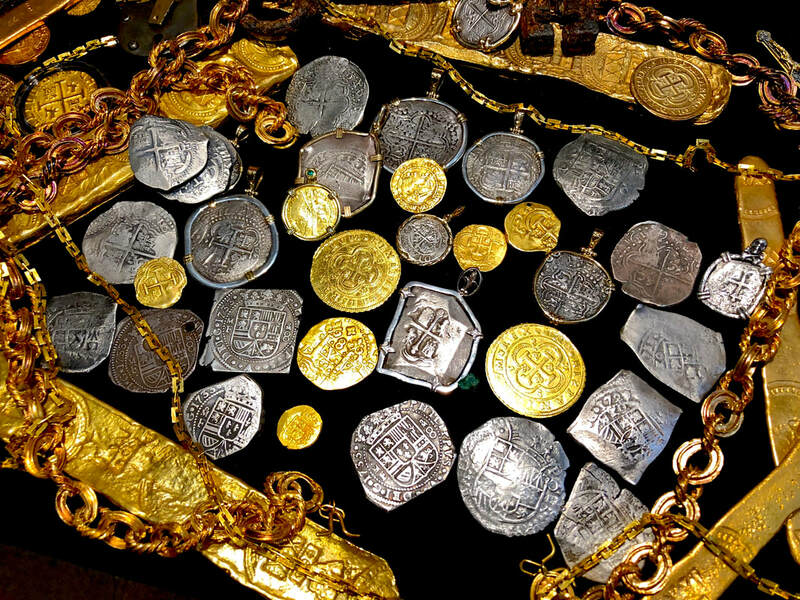 This Authentic DATED 1652 8 Reales (Post Transitional) set in a Silver and Gold Bezel (14kt Bail & claws) with a Silver GALLEON emblem on the reverse was found on the Shipwreck CAPITANA of 1654! Total weight 30.83. The Mint mark “P” Potosi is visible as well as the Assayer “E” and most importantly, the DATE (1)652! 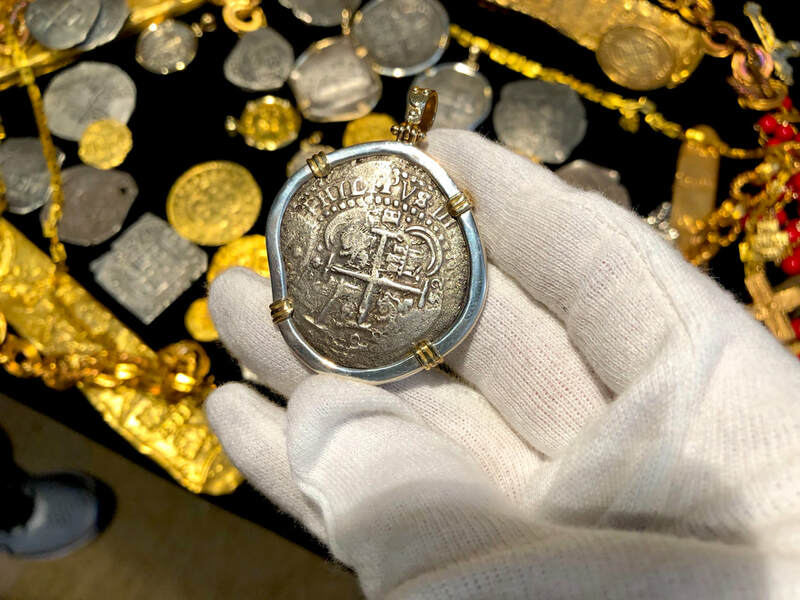 This piece is way above average, displaying the FULL CROSS and Lions & Castles, as well as the Tressure and partial Crown (not to mention, even the Legends are partially legible: Philipus III). 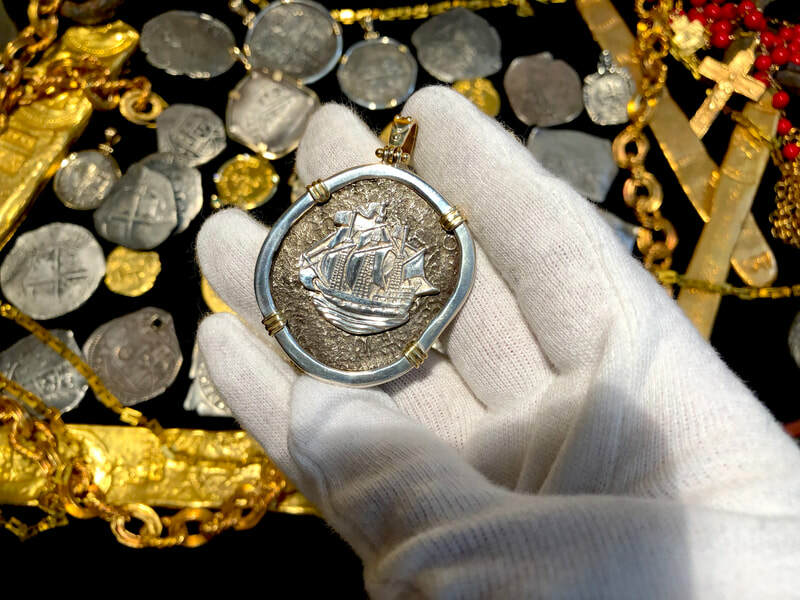 Topped off with a GOLD Bail for you to place your Gold or Silver Chain through. 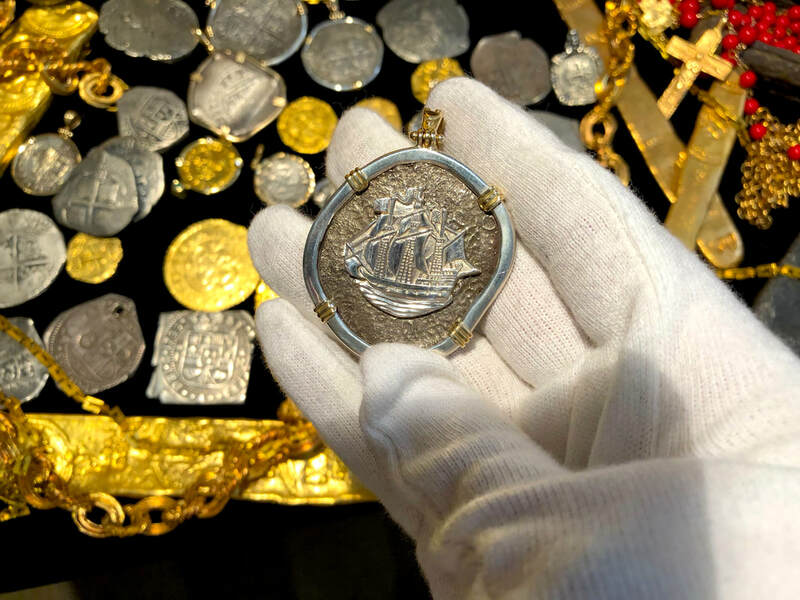 READ Below about the Capitana of 1654.